« How do we fit the policy to the need? 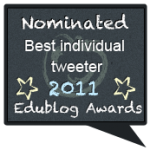 With a premiere Technology-in-Education Conference, ISTE11, coming in a matter of days, I find myself comparing the Education conferences of old to the social media-influenced Education conferences of today. There is a world of differences, but, unfortunately, many of these differences have yet to be discovered by educators who have failed to recognize the juggernaut of social media. For many years I was a board member of NYSCATE, an educational technology group for New York educators. A primary purpose of this group is to conduct an annual conference that draws thousands of educators in order to discuss technology in education. In addition to my participation in this conference, I have over the years presented in many others, both large and small. A huge difference about today’s conferences is the connectedness of the participants. Educators through social media have been able to connect with other educators without regard to geographical boundaries. Many productive online relationships have continued over a period of time without actual face to face meetings. These conferences are an opportunity for face to face connections. That translates to more time for socialization for the participants. Plans and discussions have taken place weeks before the conference about who to see and what to do. The conference provides a place for people, who have never met face to face, to meet as long-lost best friends would meet after a long separation. Places for social gatherings need to at least be considered, and at most be expanded. 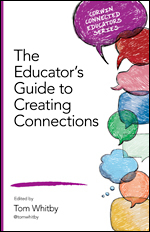 These personal connections of connected people may be misinterpreted as cliques, but this is often a perspective of educators not yet involved with social media. The unfortunate result may be a perception of a class distinction between the connected and the disconnected (or not yet connected). Back Channeling is another big difference between old and new. This is when participants in a workshop or presentation tweet out on Twitter, or Facebook the points that the presenter is making in real-time. Not only are the facts of the presentation, but editorial comments as well tweeted out. This may have a great effect on presentations moving forward. I remember a recent conference having a keynote speaker using a data heavy PowerPoint presentation, and not being very aware of back channeling. After a few Tweets came out about the quality of the presentation, there was an avalanche of negatives flying out from that presentation. Needless to say these tweets were global messages going public to thousands of educators. On the other hand, a great presentation has the potential for going out beyond the limited audience in the presentation. Ustreaming is being done more and more as well. 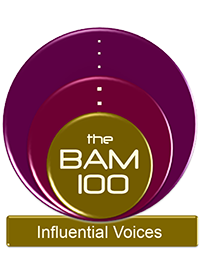 Presentations limited to small audiences are broadcast globally to any educator with a connection. Local conferences have the ability to gain global recognition. The social media hierarchy is now replacing the superstars of higher education and industry at these conferences. Keynote speakers of the past were often professors from Higher Education or Captains of industry from the world of Technology in Education. Today, social media has chosen its own superstars, people who continue to contribute and influence education through Twitter, Facebook, LinkedIn, online Webinars, Podcasts, and Blog Posts. Some of the best have feet in both worlds. The conference of today is an opportunity for participants to meet those whom they consider to be social media Gurus. I think an underestimated influence on conference participants is the effect of free online Professional Development. More and more free symposiums are being offered through social Media. Webinars and online interviews are becoming daily occurrences. The conference participants are becoming more aware of trends and issues prior to attending the conference. Presenters need to at least be where their audience is in their knowledge of the subject. Relevance means more to connected educators than it ever has before. Another influence is the effect that the growing “Unconference” movement is having. Born from Social Media, “Teachmeets”, and “Unconferences” are changing what educators expect from a conference. These are self-directed-learning format conferences. They give most, if not all, of the control for learning to the learner. The learners direct the conference from the beginning until the end forcing the conference to be flexible and adaptive. Blogging is another Social Media-influenced activity which has a lasting touch on conferencing. On the very first day of any conference, there will be at least one blogger who will publish a post on his or her experience. First impressions last a lifetime. Bloggers will continue to post their experiences and impressions throughout and beyond the time that the conference takes place. Once it took weeks for the word to get out about the success of a conference. On the spot blog posts have changed that dynamic. 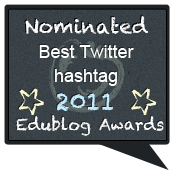 Micro blogs (Twitter) and Blog posts determine and create conference “BUZZ”. It may determine whether individuals with limited funds may or may not attend a specific conference in the future. If Education Conferences are to benefit the educators that they hope to have participate, now and in the future, all of these new influences must be considered. Just like education as a system, conferences are dealing with participants who are becoming self- learning aware. The days of content being controlled by a few and the need to seek those few out to obtain it, are gone. Free access to almost endless information and the ability to select only information which is needed by the learner is changing the game. If you are a person who questions the need for Mobile Learning Devices in education, look around you at your next conference. Take note of the Laptops, Smart Phones, iPads, and Tablets. Watch how long it takes people to scope out an electrical outlet to power up, or recharge. See what happens if people don’t have passwords to access WiFi. What would happen if we forced those educators to leave their mobile learning devices at the door? What would happen if we singled out and punished individuals for texting during a presentation? What would happen after you informed educators that the filtering will limit their access? What would happen if we required participants to agree to an Acceptable Use Policy before they could connect? Participants at these conferences are learners. Let us keep that in mind when we return to the learners in our own schools. All in all, this isn’t your father’s Education Conference! As I get prepared to travel to ISTE next week I am reflecting in how the experience has changed for me. I attended my first ISTE right here in New Orleans in 2004. I was such a greenhorn. 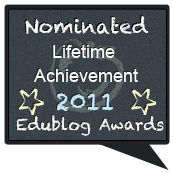 I wasn’t connected, I didn’t know the language (blogs, wiki, Moodle, Ning, etc. ), and I didn’t know how to get the best out of the conference from my standpoint. By the time I attended ISTE08 in San Antonio I had learned the language and had a handle on what I wanted to learn more about while at the conference. 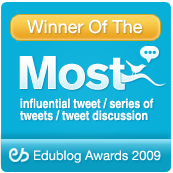 When ISTE09 in Washington, D.C. rolled around, I had started making connections on Twitter and through online webinars. I meet people face 2 face that I “knew” online. It was like attending a reunion. Last year in Denver I got to spend several relaxing days with members of my PLN at Estes Park before heading to ISTE. I made it a goal of mine to meet two or three newbies a day and include them in discussions or lunch outings with my PLN buddies. I wanted the newbies to feel the richness connections at a conference can offer. This year I am hosting a BYOBreakfast at the Newbie Lounge on Monday at 8 o’clock to again help newbies understand the importance of connectedness. I love how excited I feel in the months, weeks, and days leading up to ISTE. Yes, I have been making lots of plans to interact with my PLN while in Philadelphia, but I am also setting aside time to make new connections. I hope all of the veteran ISTE goers, who might be viewed as part of a clique, reach out to at least one newbie a day and help them start making connections. After all we are going the be in the “city of brotherly love”. I enjoyed the last few questions— what if we didn’t allow smartphones/laptops etc in conferences. Talk about an uproar ! AND YET, at the same time, I feel there may be moments in my next workshop where I’ll tell participants to put down those devices because they CAN interfere with learning. A time and place for all things, and FULL attention is hard to achieve with so much going on in a conference, on social media and communicating between the two. And what about virtual conferences/social media and the effect they’ll have on conferences, specifically because real conferences are so expensive comparatively. 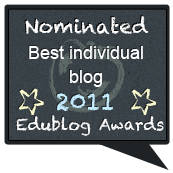 This is a topic I delved into on my blog after attending IATEFL in Brighton this year. Thanks for sharing. I love the part about social media choosing “it own superstars”. I’ve been on Twitter regularly for the past two months and I have learned so much and connected with educators around the globe. Conference presenters have to step their game up if they want to remain relevant. You’ve earned a new Twitter follower. 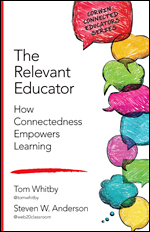 It is interesting to think about how the landscape of professional development is changing for educators, Tom. For me, the greatest benefit is that connectedness to others attending at a conference. In the past I have gone to sessions but met no one and limited interaction to maybe asking the presenter a question. Today, thanks to the social web, when I attend a conference I actively search out members of my PLN and often continue to “converse” about the sessions long after they have ended. Just yesterday, I befriended a media specialist from NC, who was at a conference here in Memphis. She’s teaching me about designing engaging student book clubs, and I’m helping her use Wikipedia as a medium for students to do authentic research. Our new face-to-face collaboration will continue online through Twitter though we live hundreds of miles apart. Yep, it’s definitely not my father’s education conference. Great post, Tom! Please let us know anyone at this conference focuses on pedagogy rather than technology. I am tired of people thinking that new cool technology will somehow transform teaching practice when research tells us otherwise. I did my dissertation on this, so I have a clue. Its what you do with the technology, not what the technology can do. Please tell me people are suggesting ways to persuade teachers not only to adopt new technology, but to use it for something other than getting better test scores. It’s so true what you’re saying, Tom. From reading your Twitter posts, I feel as though I know you a little. If I were fortunate enough to attend a conference where you’d be, I most likely would seek you out, if but to say hello. Appreciate the post, Tom. Having attended ISTE last year in Denver, I can verify the technological connectedness you speak of. http://bwasson.posterous.com/tag/iste10 I could not imagine what that conference would have looked like in years past with no technology. The thought that occurred to me while walking the convention center in Denver was this: there are educators sprawled out all over the place using their favorite tech device to look stuff up online, blog, tweet, chat, IM, email and more. Thousands of them. Yet, mobile devices are not yet commonplace in K12 schools (and even some higher ed classrooms). Why is it the preferred tech device for teachers to use to be in touch with the world at a conference, but can’t be for our children within the constraints of a K12 classroom to connect them to their world? There is such a disconnect there and there has to be a reason, but I just can’t put my finger on it yet. ISTE is huge. In my view, too huge. Nevertheless, you will no doubt have some good experiences there. 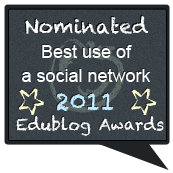 I recommend targeting a specific topic, technology, method, group, etc. and make that the focus of your conference. It is too difficult and stressful to try to see all of it and take it all in. Last year, I went in trying to find more info I could bring back for use in our preservice teacher ed program. I skipped practically anything that I did not think fit in. It worked for me. The conference is so big that you can have a narrow focus on a topic and find lots of relevant info and people. On the flip side, having just attending the higher ed specific conference EduComm last week, I can tell you that the educators at that conference were not nearly as plugged in as the ISTE crowd. I saw lots of mobile devices and iPad use, but also lots of texting family, checking emails during sessions, and general web surfing. We were in tight quarters during sessions so it was easy to see who was taking electronic notes and following relevant tweets and who was shoe shopping and checking Yahoo mail. A testament to the use of mobile devices among educators at a K12 conference vs. a higher ed confernece? Maybe. Maybe not. 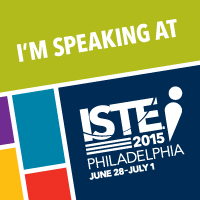 I will be attending ISTE for the first time this year (in a few days, as a matter of fact!) and I must say that this post has served to get me more excited about it. I can’t wait to see all of this tech-driven connectedness that you describe in action. I love your point at the end about how hypocritical we seem to be about social tech in education. Great way to turn the issue around and force people to look at it from a new perspective! Hmm, but we also have to remember that our school students are not yet mature, and cannot be relied upon yet to use technology wisely or responsibly. (Indeed sometimes adults at conferences also cannot, as noted by others commenting here.) In Australia at least, we also have a legal responsibility to protect minors in our care from coming into contact with certain materials freely available on the net. Hence restrictions and filters are necessary.